STCW stands for Standards of Training, Certification and Watch keeping. 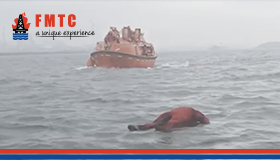 As the name already says, the primary goal of the STCW is to improve safety of the shipping business by means of qualitative safety training and the right certification. Moreover, the IET monitors the quality standard of the courses that are provided by various training centres in the field of basic safety and medical care on board. International legislation is important in order to safeguard the overall quality of the safety and medical care on board. 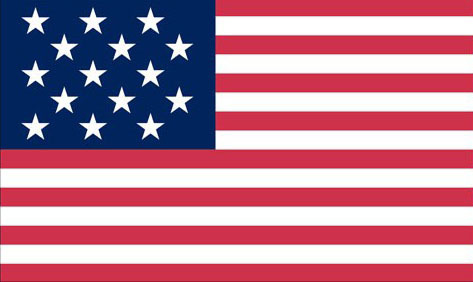 The last official convention before the modifications in 2010 was in 1995. Since then however, a lot of things have changed. This is the reason that during the STCW Manilla amendments they significantly revised this, somewhat outdated, legislation. In the STCW 2010 Manilla Amendments a number of changes were carried out concerning the safety and providing aid. The most important modifications are listed below. Seamen have to attend to a refresher course once every 5 years regarding safety and providing medical aid on board. New course guidelines concerning safety and working conditions. 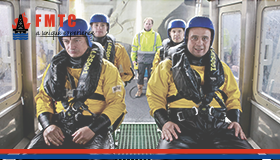 All seamen have to have repeated the basic safety training before the first of January 2017. The changes in the STCW amendment of 2010 are now stated in the law and underlying legislation and took effect since the 3rd of May 2014. When you are an employee on a ship, you are required to be in possession of a certificate ‘shipping healthcare limited’ (SHC-L) or ‘shipping healthcare unlimited’ (SHC-L). In case you only use the territorial water or water that lies adjacent to the territorial sea of the Dutch Kingdom, a certificate ‘shipping healthcare limited’ suffices. However, when you are outside of these waters, you’re ought to have a ‘shipping healthcare unlimited’ in possession. This new legislation also affects the courses that seamen have to attend concerning safety and the providing of medical aid. This is because SHC-L and SHC-U are replaced in the new legislation. The SHC-L is replaced by the course Medical First Aid whereas SHC-U is replaced by the course Medical Care. During the course Medical First aid, we treat the shipping healthcare within the territorial waters and the water that lies adjacent to this territory. During the course Medical Care you are also taught on how to administer an injection, to administer an IV and how to stitch wounds. You can attend the Medical First Aid course when you are in possession of the valid documentation. In order to attend the Medical Care course, you also have to have a valid Medical First Aid certificate next to the valid documentation. FMTC has received the required certification from the IET in May, in order to provide the Medial First Aid and Medical Care courses. Moreover, FMTC is one of the first training centres to provide these courses according to the new guidelines. 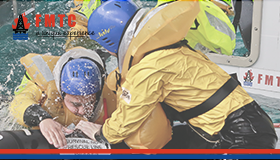 Next to the separate courses, FMTC offers the opportunity to attend a combination course. During this course, which takes 5 days, you treat both the Medical First aid as well as the Medical Care course. 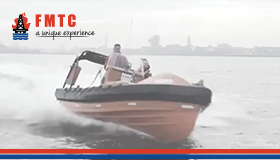 After finishing either of these courses you will receive and official STCW / IET certificate. Are you interested in the courses Medical First Aid, Medical Care or the Medical First Aid & Medical Care? Please contact us or directly book your Medical First aid & Medical Care course. Facebook and Twitter. Would you rather call us instead? We can be reached on 020 – 811 43 32.